The Fury 3S costs around £140-150 in the UK. Buyers, and there are plenty of them, rate this one at 4.6 out of 5 stars. This is a compound sliding mitre saw, so good for working on wider pieces of wood. The blade, like all the Evolution blades makes clean cuts in steel, aluminium and wood. This model also leaves a good finish, which is important when working on those finer jobs like skirting. This one also comes with a useful electric brake for your safety. 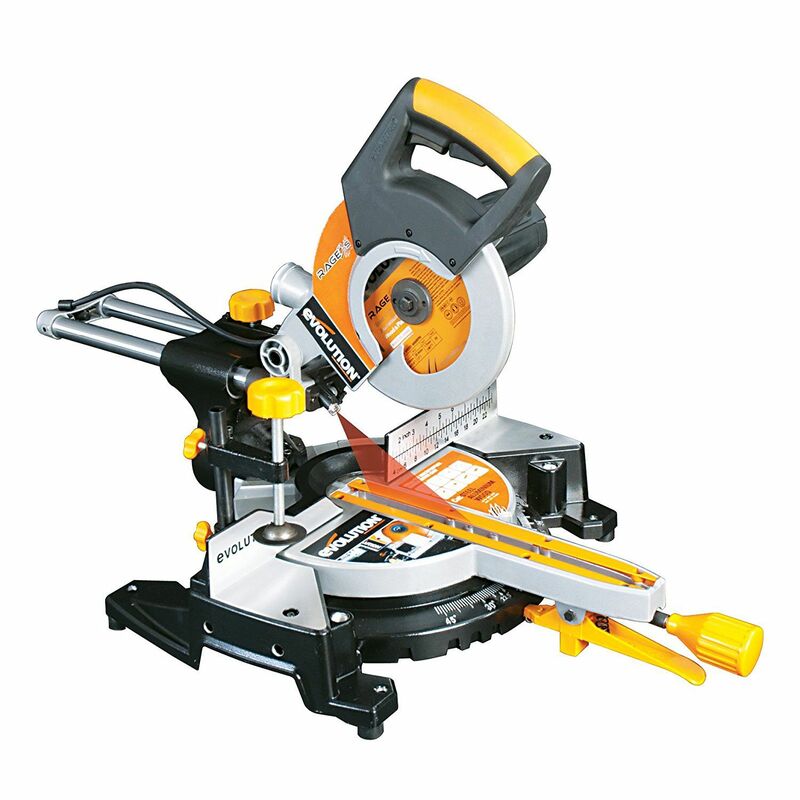 This is a sliding compound mitre saw. As such it is designed to be able to cut through wider pieces of material than a standard compound saw. 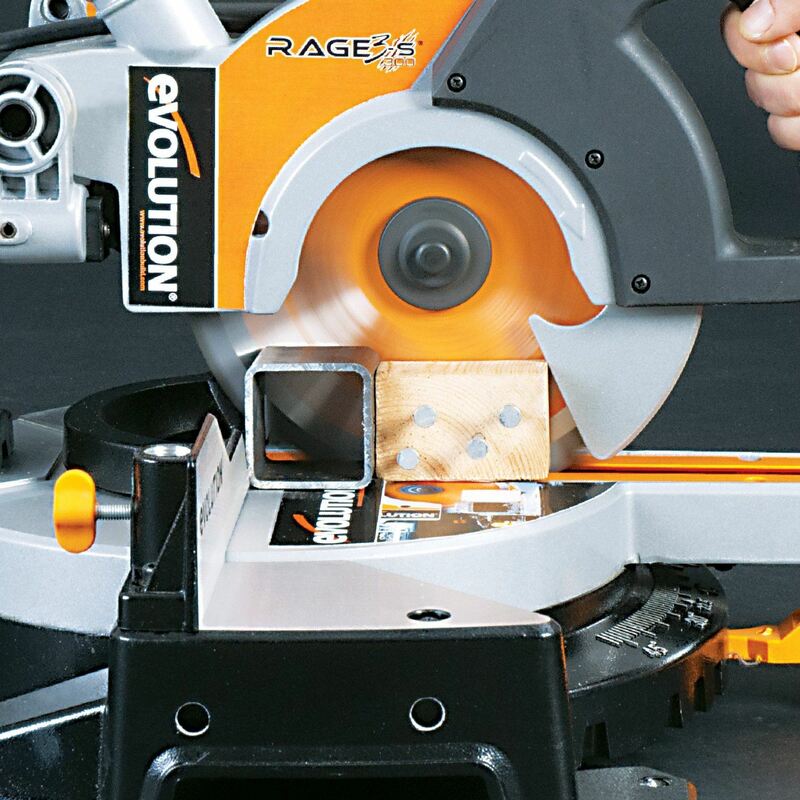 Who Should Buy the Evolution Rage 3S Multipurpose Saw? If you have used a mitre saw before, then you will understand the benefits of buying a sliding one. It gives you a much wider cutting width. 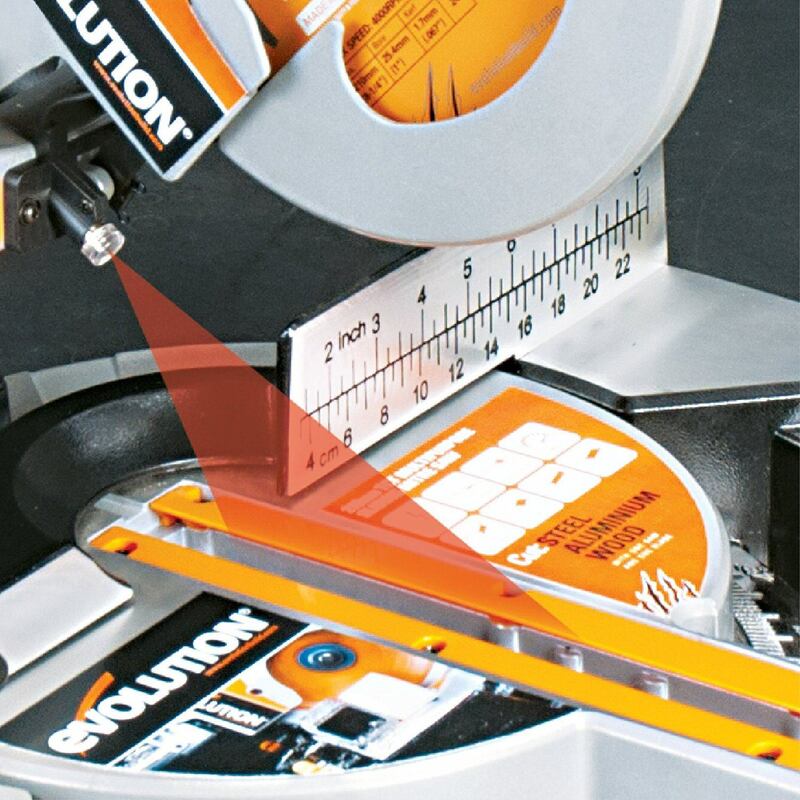 With a standard compound saw such as the Evolution Fury 3B, you are restricted to 210 mm cuts. That may be ok for some users. However if you want to be able to work on wider boards, like laminate flooring, then you need something that can do those wider cuts. This model is ideal for that type of task. Includes: a multipurpose Blade, a box spanner, a work piece support, an end stop and a clamp. This saw is for people who need the larger sliding version. It is very well made and it looks and feels like a quality product. Most buyers found it to be accurate, and almost all of them swear by the usefulness of the laser. t think because it's not expensive that it's not professional. Everything about it gives the impression that it's made to last.